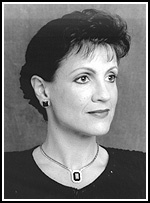 Sharon Hansen Choral Series | Santa Barbara Music Publishing, Inc.
Sharon A. Hansen, esteemed as a conductor and master teacher worldwide, is Professor and Director of Choral Activities and head of Graduate Choral Studies at the University of Wisconsin–Milwaukee. Her UWM Concert Chorale made their Carnegie Hall debut in 1997. Her collegiate and professional ensembles have been featured at state and regional MENC and ACDA conventions, as well as other national conventions. Hansen’s respected efforts in voice education garnered her the entire issue of the November 2008 Choral Journal, which she designed and edited. She is author of “Women, Conductors, and the Tenure Process: What’s Up in the Academy?,” which appears in Wisdom, Wit, and Will: Women Choral Conductors on Their Art. She is Founder and Music Director of the Milwaukee Choral Artists, one of only five professional women’s vocal ensembles in the country. She was a founding board member of the Milwaukee Children’s Chorus and served on the Board for Milwaukee’s Early Music Now. Her professional memberships include ACDA, Chorus America; IFCM, MENC, NATS, The VoiceCare Network, and The Voice Foundation.